So this is what happens when you go grocery shopping with your kids...you think you are picking up zucchini and instead you grab cucumbers. I was so sad when I couldn't make a recipe in which zucchini was the star but I did see a fun way to spice up the ordinary cucumber. Super easy and feel free to change the spices according to your liking. 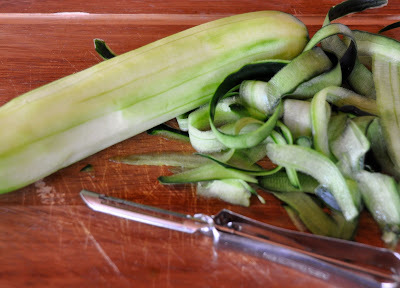 Peel the cucumbers using a vegetable peeler and cut the ends off if needed. 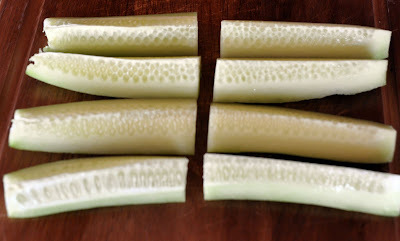 Cut the cucumber in half lengthwise and then cut those piece in half lengthwise. Cut those pieces in half so you have a total of 16 cucumber wedges. Arrange them neatly on a baking tray. 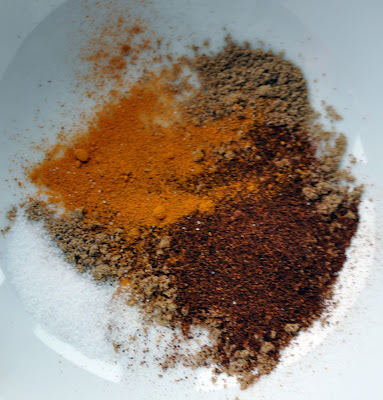 Mix the turmeric powder, chili powder, coriander powder and salt in a bowl. Sprinkle them on top and refrigerate them for at least 10 minutes. Serve the cold spicy cucumber wedges on a platter. This sounds good, sometimes mistakes are a good thing! Too cute! I love cucumbers. Even with a little rice vinegar, some chopped peanuts... yummy! They're so clean and fresh. Great save! Going to the grocery with kids can be a wild adventure:D I can definitely relate to it! Great idea for jazzing up these cucumbers. Not only are they healthy, but they look delicious. This is a fantastic idea. 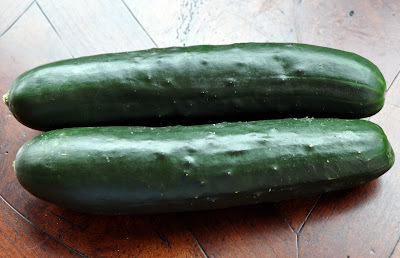 I, too often, grab the wrong one, zucchini or cuke. That is what I get for racing through the store. I do what you did but never did I think of this. A great idea. This is why my husband never come with me!!! Don't be sad, you cucumbers are so nice!! Sounds like a nice and different way to dress up cukes. Love it! 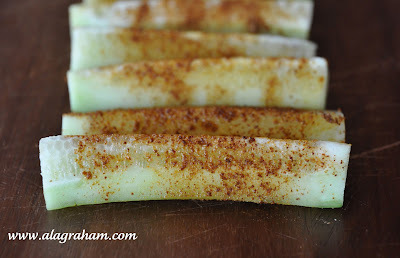 My hubby loves cucumbers and he would love this! Your shopping adventure obviously turned out fine! Yum! Keto fit pro , Try to spread meals out thinner, getting four to six smaller daily meals instead of two to three big ones. • Another objective you may not be dropping bodyweight, especially if you are supplementing your running system with bodybuilding or bodyweight training, is that muscle weighs more than fat.